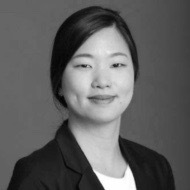 Boyeong Hong is a PhD candidate in the NYU Tandon School of Engineering, as well as a research affiliate of Dr. Constantine Kontokosta's Civic Analytics Program at the NYU Marron Institute of Urban Management. Her research interests focus on how to apply urban informatics to real world problems in urban planning and operations. Boyeong holds a master degree in Applied Urban Science and Informatics from NYU Center for Urban Science and Progress (CUSP). While at CUSP, she was a Graduated Research Assistant in Identifying E-Waste (Electronic waste) generation in New York City project in addition to working on data analytics for capital planning with NYC Department of City Planning as part of a capstone project. More recently, she worked at the Pratt Center for Community Development translating geospatial data into problem solving insight through GIS mapping and analysis. Prior to NYU, she participated in various research projects related to urban planning and data analytics in Seoul, South Korea. Boyeong has a Bachelors degree in Architecture from Yonsei University and a Master of City Planning degree from Seoul National University.